I decided early on that I wouldn't do restaurant reviews on this blog, keeping the focus on cooking, where my true heart lies. 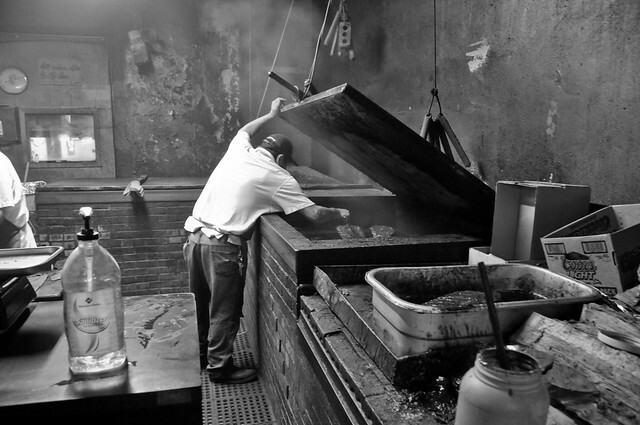 Still, there's some barbecue experiences that are just worth sharing, like my recent trip to City Market in Luling, Texas. So think of this as more of an ode to one of the truly great meat markets that dot the Lone Star state. So once again I might have left you asking, "Where's the Meat?" 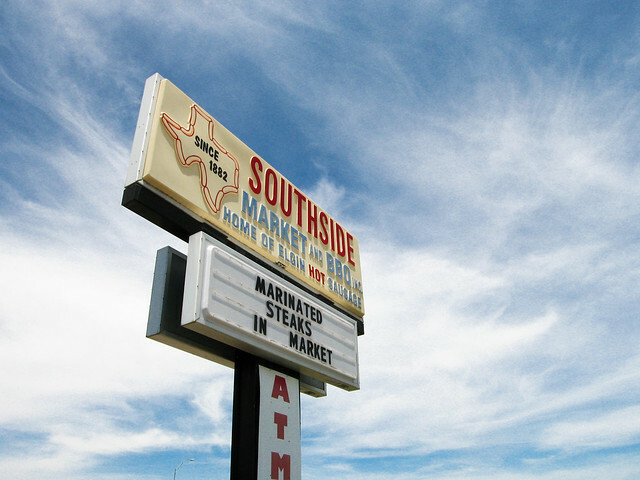 The Meatwave went on a little hiatus as I traveled deep into the heart of Texas to my personal mecca, Southside Market. Once there, the power of Elgin sausage and smoked brisket took hold and I just never left (well, mentally at least). Of lesser importance, I also shot a wedding in the land where the stars shine bright, and the aftermath of that has left me temporarily indisposed back at the homestead. I hope to have things back on track next week with tales of tangy pit beans, smoked short ribs, and a foray into fish. In the meantime, enjoy a chimichurri-stuffed flank steak with a side of sweet onion salad, and end it with some grilled peaches with fresh raspberry sauce.